The biggest bargain in transport policy? Is the urban bus the biggest bargain in transport policy? There’s certainly a strong case to be made – as our new report (‘The Case for the Urban Bus – The Economic and Social Value of Bus Networks in the Metropolitan Areas’) shows. The key to the exceptional value for public money that the urban bus represents boils down to the fact that the urban bus is a highly effective social policy which also has economic and transport benefits. And looking at it from the other end of the telescope it’s a highly effective transport policy which at the same time has considerable social benefits. There’s not so many forms of public expenditure that achieve so many multiple and overlapping policy objectives for every pound spent. A policy that gets young people to education, the jobless to jobs, and tackles isolation for older and disabled people. Part of the solution to problems like these that will ultimately incur major costs to society if not tackled. And at the same time as it does this it, it also reduces congestion for motorists and provides the access that city centre employers and retailers rely on. Not bad! The report sets out all these inter-linked benefits in detail – and, crucially, puts some hard numbers against those benefits. 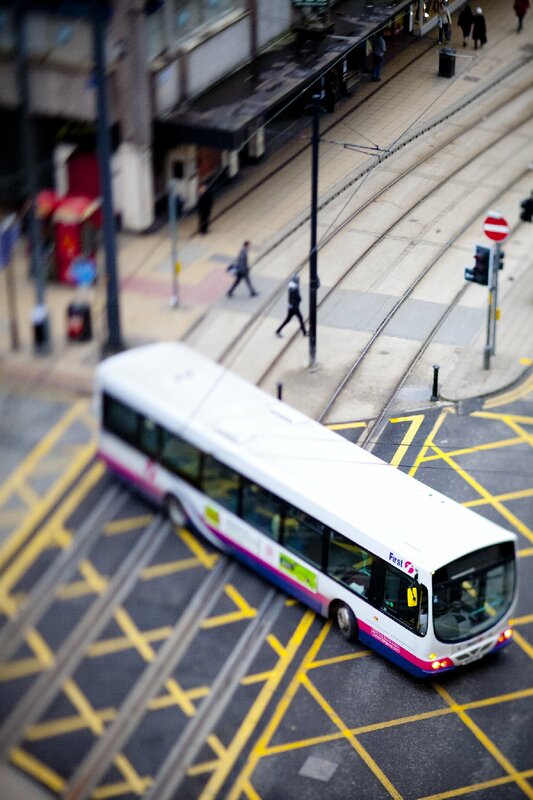 It finds that in PTE areas alone bus networks are estimated to generate over £2.5 billion in economic benefits by providing access to opportunities; reducing pollution and accidents; and improving productivity. BSOG generates at least £2.80 of benefits for every £1 of public money spent – over a quarter of these benefits go to other road users due to buses’ role in reducing road congestion. The non-commercial bus services that local authorities support can generate benefits in excess of £3 for every £1 of public money spent. Most of these benefits are to the bus users who depend on these services to access opportunity (like jobs, education and healthcare). The report also finds that because of the local nature of bus services and operations, much of the bus industry’s turnover (in excess of £5 billion a year) is ploughed back into regional economies through the supply chain, and because the people who work on local bus services live and spend in their local areas. The report highlights the key role that urban bus services play in tackling social exclusion – from linking jobseekers to jobs, to getting young people into education and training, to providing a way out of social isolation for older people. Although this report focuses on the largest urban areas it should absolutely not be inferred that this means that there is a not a strong case for supporting rural bus services. Many PTE areas contain substantial rural hinterlands and we know just how important the rural buses we support are for keeping communities connected, for the rural tourism economy, and to tackle major problems of social exclusion in rural areas. However, this report we concentrates on the specific urban case because a good bus network is so important to urban areas it deserves this detailed analysis of the specific benefits that urban bus services bring. Since the last spending review (where the collective failings of the bus industry, the DfT, and local government on assembling the evidence base on buses were exposed and punished) there has been a concerted effort, led by Greener Journeys, Campaign for Better Transport and pteg, to systematically fill the gaps in that evidence base through a series of complementary and overlapping reports. There’s more to come but the evidence base has now been thoroughly transformed. It is robust and battle ready and my sense is that decision makers are now taking it more seriously. However, there’s a long way to go. Public funding for the bus has some unique challenges in that it comes from a variety of sources, and in some ways the Department for Communities and Local Government (CLG) is more important for bus funding than the Department of Transport as CLG take the decisions on local government funding which ultimately determine a big slab of bus funding. And the bus is far from the forefront of CLG thinking. Bus funding is also highly revenue dependent at a time when capital rather than revenue spending is favoured by Government. However the evidence base is there for the bus. The task now is to continue to take it to key decision makers and to find some collective asks of Government on bus funding whilst accepting that there will remain fundamental differences between many incumbent bus operators and local government on the deregulation / regulation issue. It can be done and it needs to be done if we are going to get a better result from this Spending Review for the bus this time, than we did last time around.